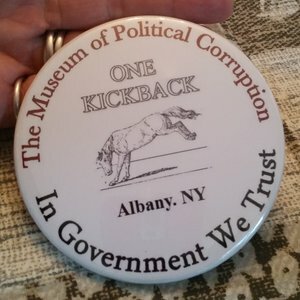 AP via CSM: Could a political corruption museum become Albany's biggest tourist attraction? ALBANY, N.Y. — A resident of New York's capital city has an unusual economic development plan to harness what he says is one of Albany's most abundant renewable resources: political corruption. For a $12.50 or so "bribe," visitors to the planned Museum of Political Corruption will get a tour of the state's long history of crooked politicians, shady deals and backroom power brokers, as well as a chance to learn about individuals who have fought corruption and suggested solutions to the state's chronic problem. The museum is the idea of Bruce Roter, a professor at Albany's College of Saint Rose, who is now raising money for the museum, which he envisions as both an educational institution and a tourist destination that focuses on the state Capitol's reputation for corruption. Baltimore Sun: Donors gave a super PAC $6 million. Candidates actually got about $140,000. Before he entered the race for the White House, Ben Carson signed on to a campaign to raise money to fight Obamacare. When Juanita McMillon saw his name, she was eager to get out her checkbook. “I think he is sincere, and I think he is honest, and I think he is exactly what we need,” said McMillon, 80, from the small town of De Kalb in northeast Texas. She gave $350. 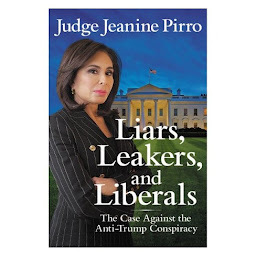 Her money went to the American Legacy PAC, an organization with ties to former House Speaker Newt Gingrich. With Carson as the face of its Save Our Healthcare campaign, American Legacy raised close to $6 million in 2014 — and spent nearly all of it paying the consultants and firms that raised the money. Just 2% was donated to Republican candidates and committees, financial reports show. 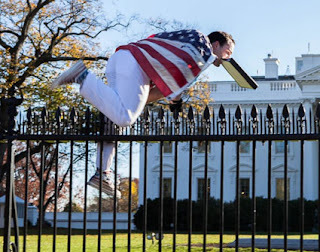 Washington (CNN)The man arrested for jumping the White House fence Thanksgiving Day made his first court appearance Friday, after which he was sent for psychiatric evaluation. Joseph Caputo, 23, of Stamford, Connecticut, was charged with illegal entry of restricted grounds for jumping the fence protecting the White House. He was stopped by Secret Service on the lawn almost immediately and arrested. After Friday's court appearance, Caputo was released into Secret Service custody to be transported for evaluation at the Comprehensive Psychiatric Emergency Program at St. Elizabeth Hospital ahead of a scheduled hearing Monday in the D.C. District Court. Three people were shot dead and nine others were injured Friday at a Colorado Springs Planned Parenthood clinic, the first time since 2009 that anyone has been killed in an incident linked to activity at an abortion clinic. The attack comes amid an exponential increase in threats and violence against abortion providers since the release of a series of viral—and widely debunked—videos. While police have not discussed the alleged motives of the suspect, who has been arrested, the attack began at the clinic. According to authorities, the gunman entered the facility Friday afternoon and began shooting. During an hours-long standoff, he exchanged fire with police, killing one officer. Since the release of the Center for Medical Progress' videos that purport to show Planned Parenthood selling fetal issue, harassment, threats, and attacks against abortion providers, their staff, and facilities have surged dramatically across the country, according to new numbers from the National Abortion Federation. 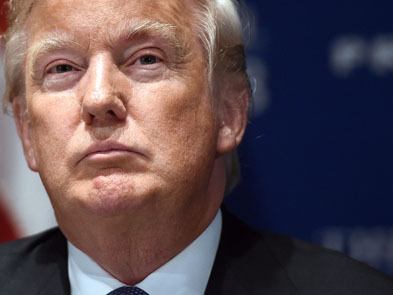 Republican presidential candidate Donald Trump said Sunday that he would bring back waterboarding to fight the Islamic State of Iraq and Syria (ISIS). 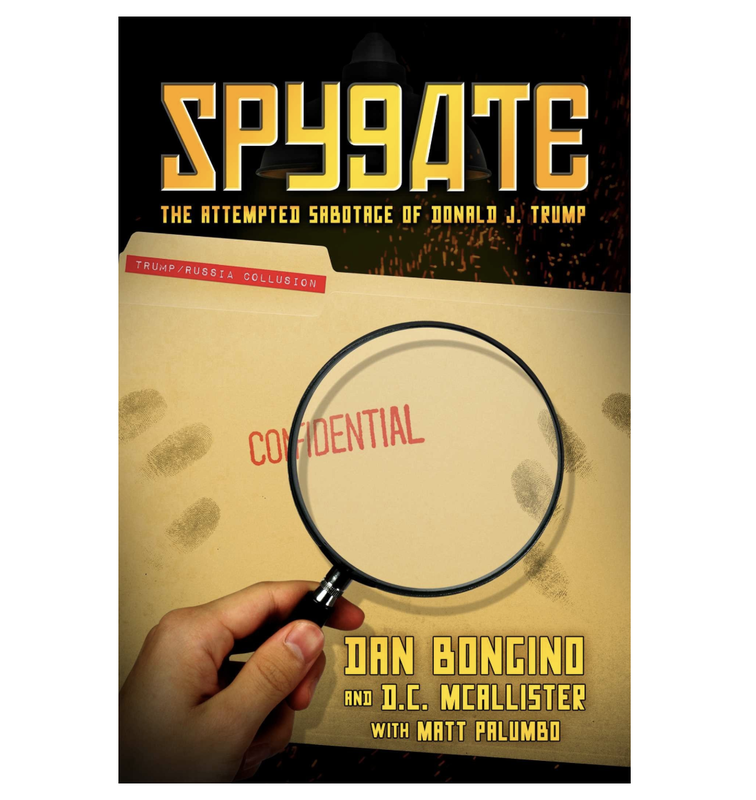 Asked about the possibility of reviving back the interrogation technique, Trump told ABC's "This Week" host George Stephanopoulos, "I would bring it back." 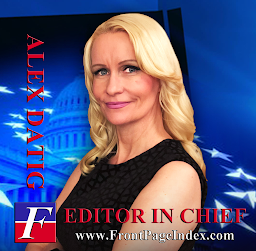 "I think waterboarding is peanuts compared to what they'd do to us, what they're doing to us, what they did to James Foley when they chopped off his head. That's a whole different level and I would absolutely bring back interrogation and strong interrogation," he said, referring to the first American journalist who was behead by the group in 2014. 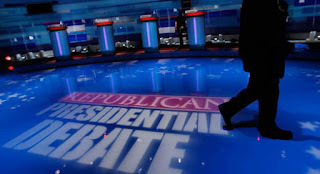 (CNN)Republicans have three ways to make the cut for the main stage of their fifth presidential primary debate, sponsor CNN announced Thursday. Candidates must meet one of three criteria in polls conducted between October 29 and December 13 and recognized by CNN: An average of at least 3.5% nationally; at least 4% in Iowa; or at least 4% in New Hampshire. 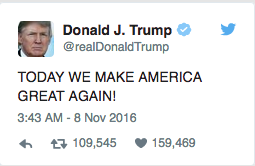 The debate is Tuesday, December 15 in Las Vegas, Nevada. Right now, nine candidates would make cut for the Republican National Committee sanctioned debate at The Venetian in Las Vegas: Donald Trump, Ben Carson, Florida Sen. Marco Rubio, Texas Sen. Ted Cruz, former Florida Gov. Jeb Bush, Ohio Gov. 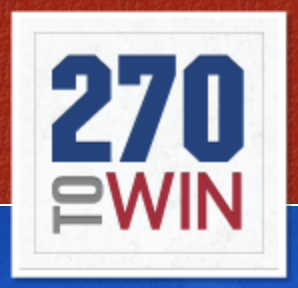 John Kasich, Kentucky Sen. Rand Paul, Carly Fiorina and New Jersey Gov. Chris Christie. BATON ROUGE, La. (AP) — Louisiana Gov. 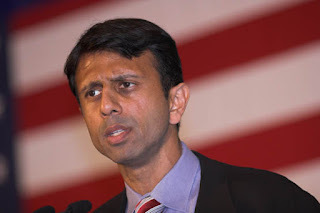 Bobby Jindal dropped out of the 2016 race for president Tuesday, ending a campaign that failed to gain much support among Republicans sifting through a long list of contenders for the GOP nomination. "I've come to the realization that this is not my time," Jindal said on Fox News Channel as he announced the decision to suspend his campaign. The 44-year-old governor said he wasn't ready to endorse another candidate, but intended to support the eventual Republican presidential nominee. 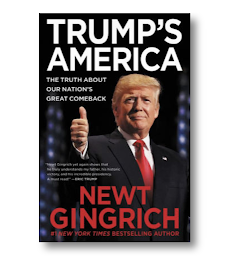 Term-limited and out of office in January, Jindal said he will work with a think tank he started a few years ago, called America Next, to devise what he called "a blueprint for making this the American century." This Saturday’s second Democratic debate will be a much smaller affair than the first. With only three candidates on stage, CBS News plans to delve deep into the issues with each candidate and have taken advantage of the smaller pool by doing some intense research. 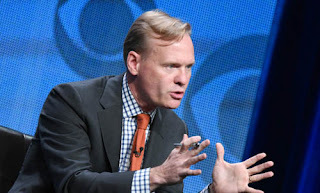 Moderator John Dickerson and his team met with each of the campaigns for more than an hour to discuss the major issues at play in the race, sources on the campaigns said, describing the pre-interview as "informational in nature." Prior to the CNN debate, the campaigns said moderator Anderson Cooper did not reach out directly to them before the candidates took the stage. "The agents involved are under a lot of pressure and are busting a--," an intelligence source, who was not authorized to speak on the record, told Fox News. 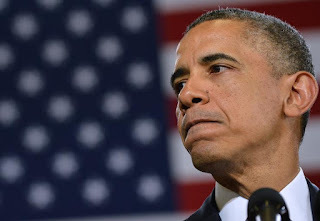 The section of the criminal code being explored is known as "statements or entries generally," and can be applied when an individual makes misleading or false statements causing federal agents to expend additional resources and time. 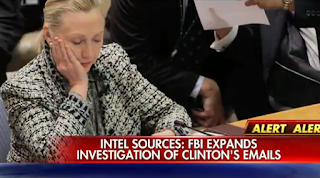 In this case, legal experts as well as a former FBI agent said, Section 1001 could apply if Clinton, her aides or attorney were not forthcoming with FBI agents about her emails, classification and whether only non-government records were destroyed. Fox News judicial analyst Judge Andrew Napolitano said the same section got Martha Stewart in trouble with the FBI. To be a violation, the statements do not need to be given under oath. "This is a broad, brush statute that punishes individuals who are not direct and fulsome in their answers," former FBI agent Timothy Gill told Fox News. Gill is not connected to the email investigation, but spent 16 years as part of the bureau's national security branch, and worked the post 9/11 anthrax case where considerable time was spent resolving discrepancies in Bruce Ivins' statements and his unusual work activities at Fort Detrick, Md. Mexico City (CNN)Karla Jacinto is sitting in a serene garden. She looks at the ordinary sights of flowers and can hear people beyond the garden walls, walking and talking in Mexico City. She looks straight into my eyes, her voice cracking slightly, as she tells me the number she wants me to remember -- 43,200. By her own estimate, 43,200 is the number of times she was raped after falling into the hands of human traffickers. She says up to 30 men a day, seven days a week, for the best part of four years -- 43,200. Her story highlights the brutal realities of human trafficking in Mexico and the United States, an underworld that has destroyed the lives of tens of thousands of Mexican girls like Karla. 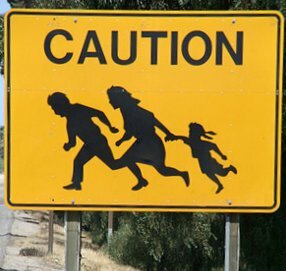 Human trafficking has become a trade so lucrative and prevalent, that it knows no borders and links towns in central Mexico with cities like Atlanta and New York. UPDATE: Christie's talk on addiction, part of the HuffPost original series '16 and President, has been viewed more than three million times on Facebook and has been shown repeatedly on cable news. BELMONT, N.H. -- While campaigning recently during happy hour at Shooter's Tavern here in this small New Hampshire community, New Jersey Gov. Chris Christie (R) related a pair of personal anecdotes to elucidate why he thinks the United States should change the way it handles drug addicts. 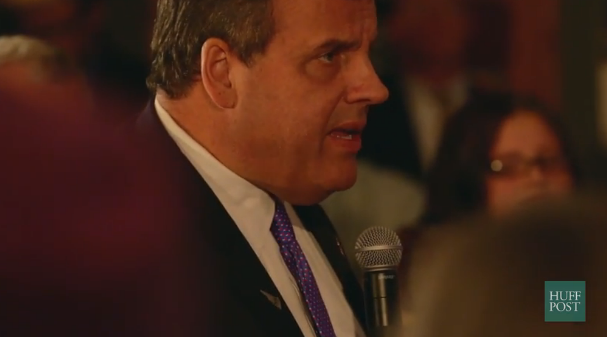 After speaking in highly personal terms about his late mother's smoking addiction, Christie recounted an emotional story about a law school friend who became addicted to prescription painkillers. 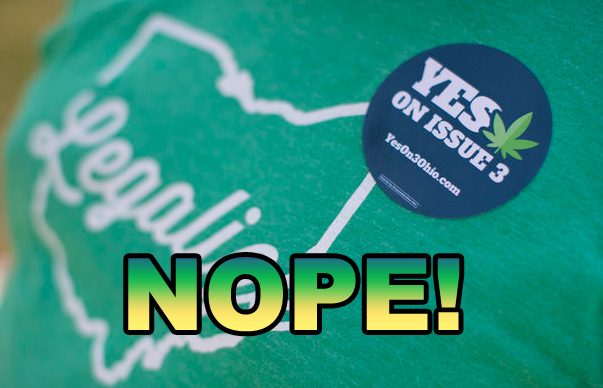 Ohio voted Tuesday against legalizing recreational and medical marijuana via an amendment to the state's constitution, shooting down a proposal to grant a small number of wealthy investors sole permission to operate commercial marijuana farms. "The people of Ohio have understandably rejected a deeply flawed, monopolistic approach to marijuana reform that failed to garner broad support from advocates or industry leaders," National Cannabis Industry Association executive director Aaron Smith said in a statement after Tuesday's vote. "This debate has shown that there is a strong base of support for legalizing, taxing, and regulating marijuana. Now the foundation has been laid for a potential 2016 effort that would put forward a more common-sense initiative and have a major impact on the presidential conversation in the process." The amendment sought to allow licensed individuals to possess, grow, share and cultivate up to eight ounces of marijuana and four marijuana plants in the state. Additionally, the law would have allowed anyone over the age of 21 without a license to possess up to an ounce of marijuana, and would have allowed individuals with a physician-certified medical condition to use medical cannabis. 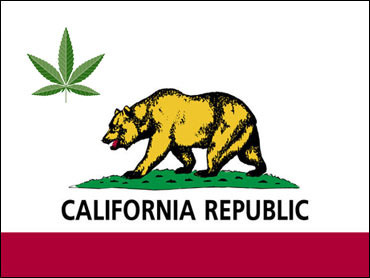 A coalition that includes former Facebook President Sean Parker on Monday proposed an initiative that would legalize the recreational use of marijuana in California and place a 15% tax on retail sales of the drug. Parker, a billionaire who also co-founded the file-sharing service Napster, plans to put millions of dollars behind the proposal, intended for the November 2016 ballot, according to those in the coalition. “It's very encouraging to see a vibrant community of activists … coming together around a sensible reform-based measure that protects children, gives law enforcement additional resources and establishes a strong regulatory framework for responsible adult use of marijuana — one that will yield economic benefits for all Californians,” Parker said in a statement. Lt. Gov. Gavin Newsom endorsed the proposal, calling it a “thoughtful measure” that aligns with the recommendations of a blue-ribbon commission he created to study the legalization issue.